A hand-picked collection of Pam Laricchia's articles about unschooling. 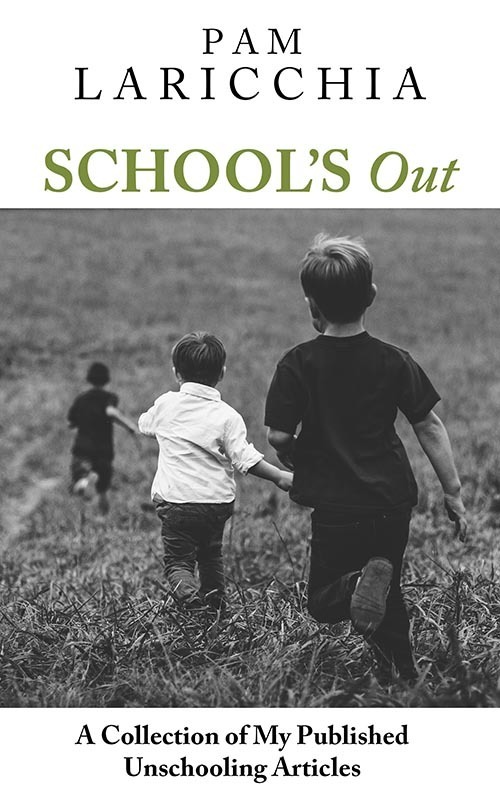 School’s Out is a collection of ten of my unschooling articles published in Toronto Life, Natural Parent Magazine, Life Learning Magazine, and Our Children / Our Selves. I chose each article to help you dig more deeply into the principles of unschooling and explore ways to live more joyfully with your children. Enter your info below to get your free copy of School's Out and join my weekly newsletter, which includes the highlights of my podcast conversation that week with an unschooling parent! Success! Check your email to confirm your subscription, and then I'll send you a link to the PDF.